MOSCOW, August 10. /TASS/. Russia’s lunar program will start in 2021, Head of the State Space Corporation Roscosmos Dmitry Rogozin wrote on Twitter on Friday. "The Lavochkin Research and Production Association is the leading developer of the Russian lunar program, which will begin from 2021," Rogozin wrote on Twitter, commenting on the appointment of Vladimir Kolmykov as the Lavochkin chief executive. Roscosmos Deputy Chief Mikhail Khailov earlier said that the first mission of Russia’s Luna-Glob (Moon-Globe) lunar program was expected to be launched approximately in 2020-2021. 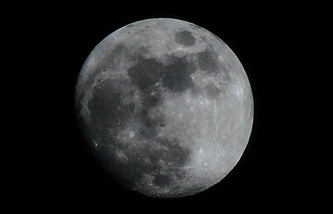 The project aims to launch an automatic probe to study the area in the Moon’s South Pole. The module is expected to land in the Boguslavsky crater.